Gerry Andrews who lives in Rathmichael, Co Dublin, spent all of his working life in the Irish Printing Industry. Born in Limerick, he qualified as a Process Engraver at the Limerick Leader Newspaper Group in 1973. He was appointed Group Production Manager at the company in 1981. He moved to Dublin with his family in 1985 to further his career and subsequently built one of the Ireland’s largest and most respected lithographic printing firms. He sold the business in 2006. A former President of the Irish Printing Federation he served on the National Apprentice Advisory Council and as a member of the Irish Business National Executive Council of IBEC. He was the founder of the Irish Print & Packaging Forum and was inducted into the Printing Industry Hall of Fame in 2010 for his service to industry. He was appointed to the Employment Appeals Tribunal in 2011 and was nominated for the Limerick Person of the year award in 2012. His interest and passion for photography started as a nineteen year old working in the Pre Press Dept of the Limerick Leader. In the early 70s he embarked on a project to capture the changing face of Ireland by making a photographic record of the characters that frequented the Limerick Milk Market. He gave up photography in 1980 to concentrate on his business career. He returned to photography after the death of his wife June in 2004. In recent years he has travelled extensively throughout Europe, South East Asia, South America, Africa and Cuba. He has a specific interest in photojournalism and social documentary photography and in 2012 he was awarded a Fellowship by the Irish Photographic Federation for his work in this genre. That year he was also awarded an Associateship of the British Royal Photographic Society for Travel photography. In 2013 he received an EFIAP from the Federation Internationale de L’Art Photographique. Gerry’s photographs have won numerous national and international awards and his work has been widely published and included in private collections worldwide. His photographs have also been exhibited in numerous photographic exhibitions and international salons. His photographs of the Milk Market and Limerick in the 70’s have received worldwide acclaim. In 2012 the Hunt Museum, Limerick displayed those images as their premier summer exhibition and the show, which ran for four months, attracted record numbers to the museum and was extended by popular demand. Following that exhibition he self published a book of the Milk Market photographs. 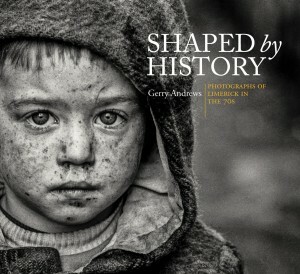 That publication ‘Shaped by History’ received Book of the Year award at the 2012 Irish Print Awards. Following the success of his book and exhibition, he was invited to display that body of work at the National Photographic Archive Gallery, Dublin in 2015. The Shaped by History exhibition was sponsored by the Hunt Museum, the Department of Arts and Heritage and the Limerick City of Culture. It was Gerry’s fifth one man photographic exhibition and attracted a total of over seventy-five thousand visitors to both the National Archive Photographic Gallery and the Hunt Museum. A selection of the Milk Market photographs are included in the permanent collection of the University of Limerick and displayed on campus at the Kemmy Business School. 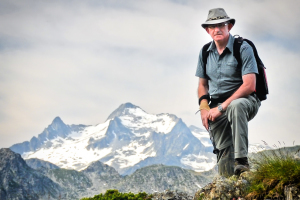 Gerry’s photographic work has been featured on numerous television programmes at home and abroad. A Past President of Dublin Camera Club he is a regular guest lecturer throughout Ireland. He is also a member of the Irish Photographic Federation Distinctions selection panel. I became interested in Photography in the early 70s while working with the Limerick Leader Newspaper. Took some time out over the weekend to flick through the Limerick & Ireland photo’s from the 70’s. Some of the photos are amazing. All the better for been in black & white. Best of luck with the website. Well done, a fascinating web site and marvellous photography. Wishing you every success and loads of excitement in the future. Hi Gerry, I read the article in Limerick Leader and had to visit your site. It absolutely fantastic and must have been wonderful to see all those places.I wish you the best of luck and continued success. This is great …We hope to spend more time going back over the pictures again. Heading into Easons to buy the Limerick Leader. I read the article in the leader the week end and was blown away. I am a photographer myself and find your images inspiring! I have only a selection of the site viewed but am already a fan. best of luck in the future and I look forward to enjoying more of your great images. Hi Gerry, great to see you are back in action. Loved the photos from the milkmarket, brought back loads of memories of going there and looking at the baby chicks etc.. look forward to keeping up with your new adventures. best of luck. Well done, Gerry. Remember you from Munchins College long ago. You had the spark then, glad to see you’ve kept the flame alive and burning brightly. Hi Gerry, Some Fantastic photographs here, well done. Keep up the good work. Your photographs are works of art, a pleasure to view and moving. Being from Limerick I really loved your photographs from the 70’s and how you captured what was real poverty but real community back then. My granduncle had a stall in the market back then and it was really interesting to see what he would have seen while there. Your work makes me want to know more about the people and their stories. So many wonderful faces! It brings the world closer to me. This is the kind of work I am striving for myself, you are an inspiration. I would so love to know more about your process. What equipment do you use, how do you process. How do you go about approaching the people you meet and photograph? I so greatly admire the honesty you achieve. Congratulations on such a creative website. As with all you have touched in life this website and the selection of photos does not suprise me. The very best of luck with future endevours. As a fellow Limerick man and as a professional within the photography business I understand your images of Ireland and of the Milk Market to be spellbinding. The sense of being there is tangible in every image and the history of the Limerick we loved and love is more clearly evident than anything I have seen before. My own Grandmother (Elizibeth Mc Namara nee Quilligan) was indeed a member of that precious community and you have rekindled all that is important to me with these images. Inspiring and brilliantly presented. Gerry you are a very modest and extraordinarly talented fellow hillwalker. Will enjoy visiting and revisiting this site. Well done! I really enjoyed my visit to your website. Thank you. Congratulations on such a wonderful web site your pictures are inspiring to amateur photographers like my self. Your images are both stunning and evocative. The 1970’s pictures remind me of the Ireland I knew at that time. A stark reminder of the the tough times that showed on the faces of the people. I participated in the Ireland V Greece competition in the shot put so it was nice to see pictures of that venue. I discovered my passion for photography in 2007 and I recognize the outstanding quality and unique orientation of your work. Thanks for coming along to Limerick Camera Club last night – it was fascinating to hear the stories behind the photographs and to see your stunning prints. It was a very enjoyable night. I’m looking forward to seeing the results of your adventure in Cuba! Just a quick note to thank you so much for your presentation at our club tonight. It was great to see your work. Particularly your portrait work which I really admire. I also enjoyed your work in relation to the Limerick Market. My Dad was from Limerick and I have family there, so it was lovely to see. Best of luck with your upcoming exhibition in the Hunt Museum. Very much looking forward to seeing your exhibition in the Hunt. The evening at Limerick Camera Club was a revelation. So recent a time, so irrevocably gone, yet people and atmosphere are alive in these most beautiful portraits. I came away thinking that these are not just superb prints, and this is not just skilled craft — this is someone with a real instinct for photography! Amazing work thank you for sharing your story, your loss and your come back. I love your BnW’s! Beautiful shots, very creative yet heartfelt, I’m looking forward to seeing your BnW’s in the Hunt muesem this weekend of Limerick past. Best of luck.. I went to see your exhibition in The Hunt Museum today Gerry, wonderful work. What marvellous characters you captured from that era. I’d love to see some images of Wolfe Tone Street if you have any. I still have great memories of the stamp collecting and the Airfix Models Gerry! Good luck with your future projects. GREAT PICS AND WONDERFUL PORTRAITS. Thanks again for the course on photography for beginners today at The Hunt. I know I am better enabled following your very ‘professional’ direction. Your informative approach is a real eye opener. As a professional photographer I constantly look out the odd image that inspires me to go further, to seek out even better shots. Mostly I find one every now and then. Your entire collection is just amazing. You have the key ability – an eye for something really worth a great photograph, whether it is a dog sitting on a wall in Limerick, or a man standing beside a car in Cuba. I am in complete awe of your ability as a photographer. Just to say how much I enjoyed your talk at Celbridge camera club this evening on your photos of the 70’s in Limerick. Work of quality! It was good to meet you in the Lakes and I hope you got a few decent shots out of it. You have a great website and some fantastic imagery here, you kept that quiet. The book is a great read by the way, I hope it does well.